In this five-part series, residents of the greater Grand Rapids area share their personal stories of housing insecurity and homelessness. Part 4. 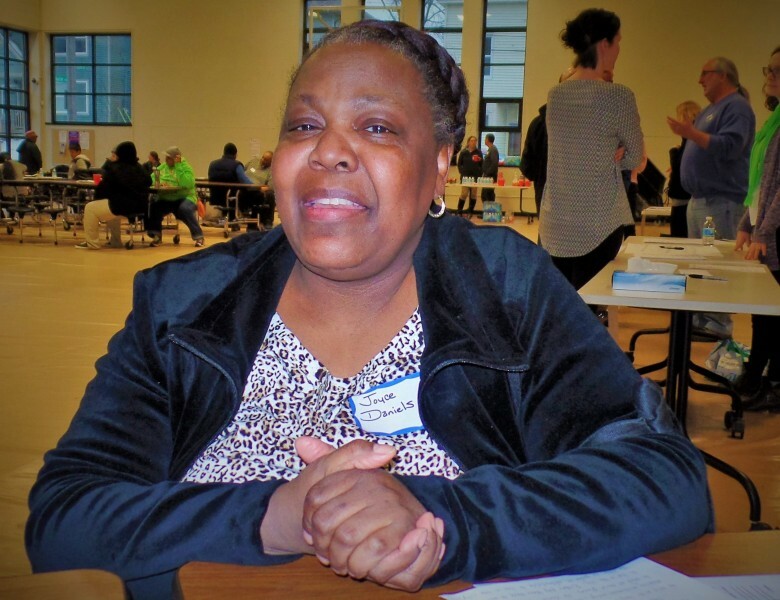 Joyce Daniels is not facing homelessness herself; someone she cares about is. "There is a young man who is like a son to me." To protect his privacy, Daniels did not give his name. "He moved up here from North Carolina two years ago when he was 21. He started out at Mel Trotter. Now he's 23 and looking for a place of his own." Daniels has helped the young man call around to places, "but every place either wouldn't take him or he didn't make enough." Daniels finally found a neighbor who would rent one room out to the young man, or else he would remain homeless. He continues to search for a place of his own. "Sometimes he pays for his background check, only to find out that the landlord still has to process the application fee from the person before him. And why does he have to pay for a credit check every time, rather than once, and have it on a central file?" Daniels noted that fees like this make it expensive to look for a place, at a time when he's already struggling financially. "This young man doesn't have any other support to help with this," said Daniels, pointing out that young adults in transition often count on family to help as they get established in housing. In fact, NPR reported in May of 2016 that more young adults are living with parents or guardians than with a partner. Daniels commented that the housing crisis and high rental prices compound the vulnerability of a young adult who doesn't have that support system in place. "He is a dishwasher by trade, making minimum wage, so now he doesn't make enough to rent at most places. He doesn't drive, so he needs to live in the city." "They need to either pay them more to work in the city, or make it affordable to live there."